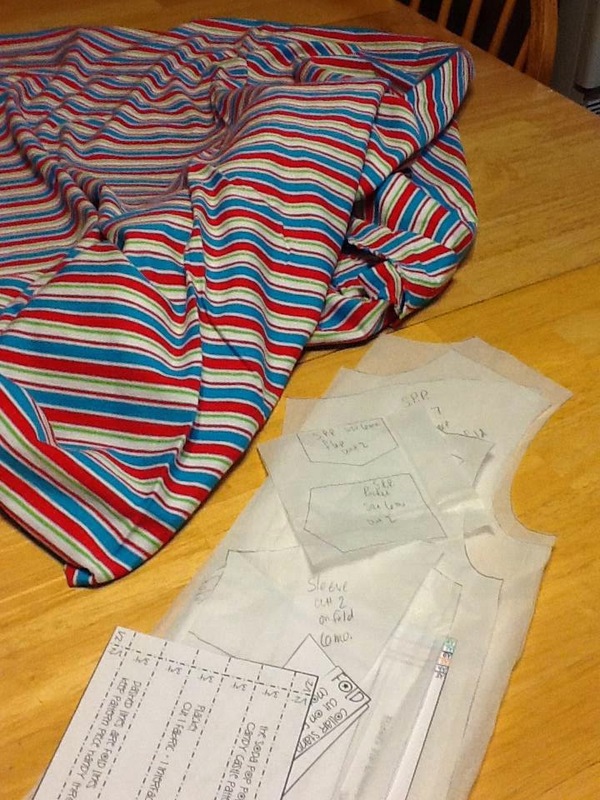 A few months ago I wrote about testing the Soda Pop Polo from Candy Castle Patterns. 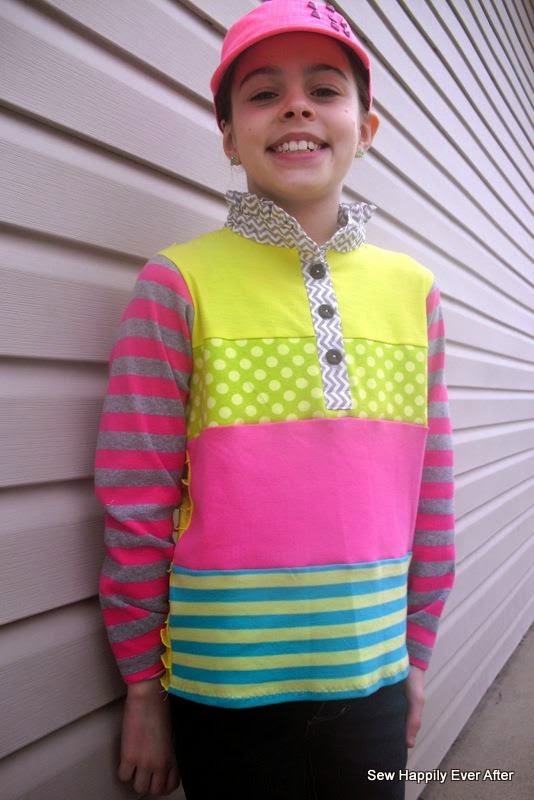 I was so inspired by this amazing shirt that I decided to participate in the Soda Pop Polo Sew-Along. Just in case you don't know what a sew-along is, I'll try to explain. The organizer of the sew-along posts a sewing schedule and a theme for a certain pattern. In this case, the pattern was the Soda Pop Polo and the theme was "Make it your own". Plus there are PRIZES. Who doesn't love prizes? I'm keeping my fingers crossed as there are a few patterns I've been eyeballing! I had huge plans to make matching shirts for my son and my baby nephew; I even cut out the shirts and have one of them partially sewn. You can see that this was the intended fabric for the matching shirts. I'll get to them eventually, but for now they are in my UFO (unfinished objects) sewing pile. :) Sewing for boys is fun, but sewing for girls is even more fun! I've been using up quite a bit of my cute girly knit fabric in the past couple of months. For this shirt I had to get a bit creative. I've also had a huge pile of cool shirts that have been begging to be re-purposed into something new. 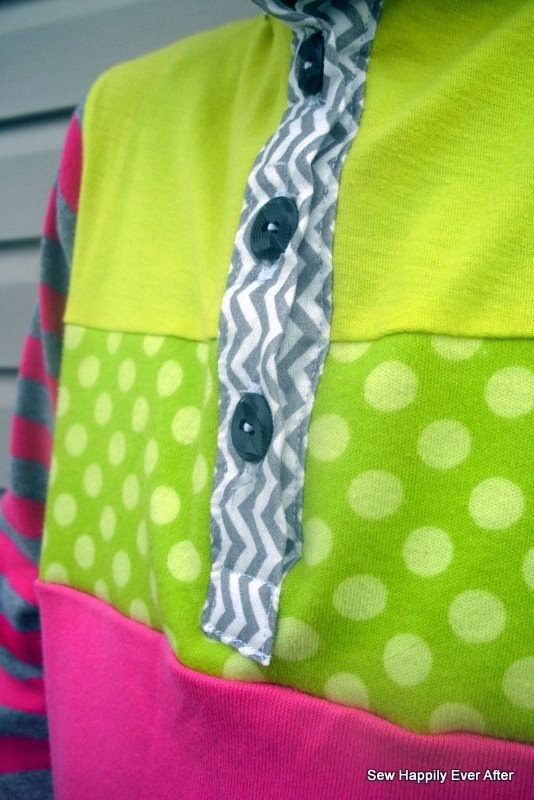 I dug through that pile and combined parts of the shirts with several larger pieces of scraps from past projects to create this one-of-a-kind top. The striped sleeves are from a Hanna Andersson PJ shirt, the solid yellow and pink are from shirts that had stains (Guess I showed them who's boss!) And the stripe and polka dot fabrics are Patty Young knits from so long ago. They were some of my favorite prints though, so I managed to salvage just a bit of them to add into this colorful top. Let's talk about that placket. It sounds so intimidating. But it's so easy! I promise! This is the fourth placket I've sewn and I think I can do it in my sleep now. :) I love, love, love the professional results. 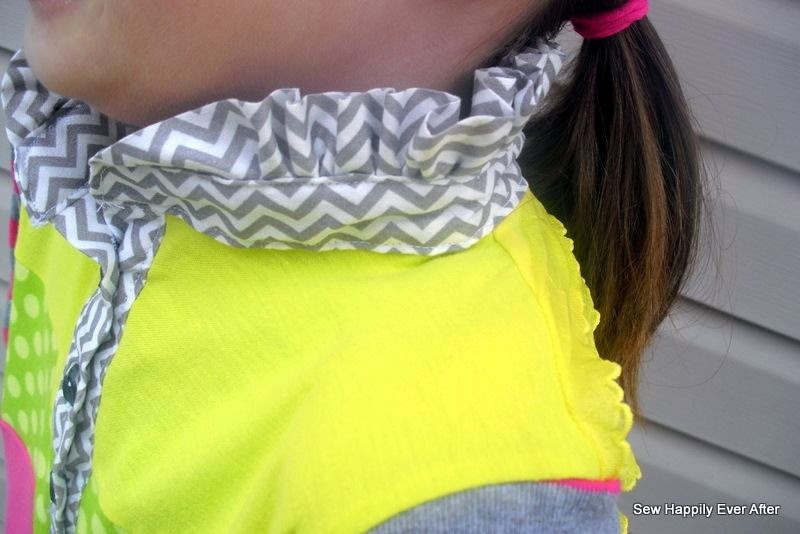 The ruffle collar is just absolutely adorable. 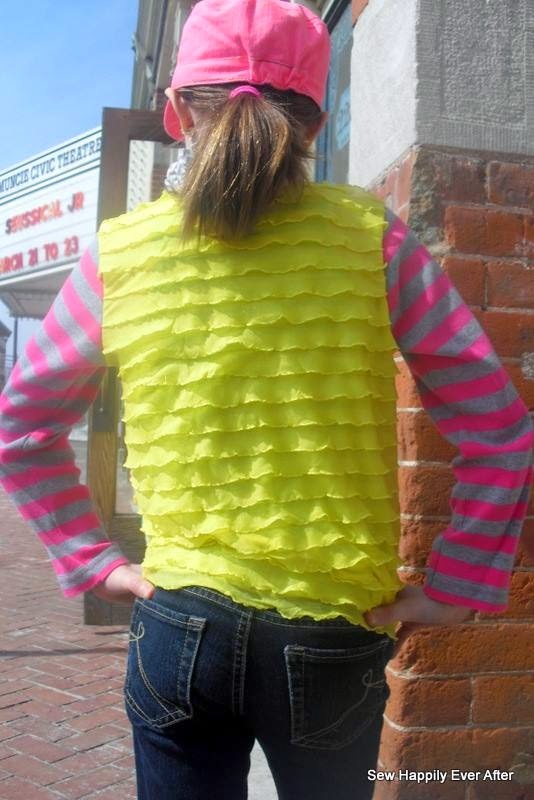 I think I want to finish all of my shirts with an adorable ruffle at the top. :) Plus with the pictures and step-by-step instructions it's almost impossible to mess it up! It was so much fun to participate in the sew-along, but more importantly to make something so cute (and comfy) that my dear little Alivia has worn it every day since it was finished! So cute and creative and a great way to use up scraps!! Well done! Awwwww! Thanks so much, Kari. I had fun creating this one!